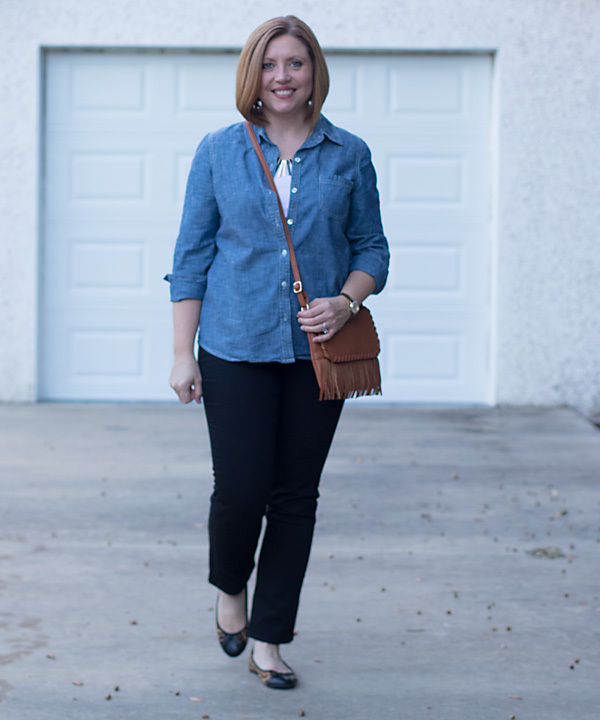 Chambray shirt-must have basic. Black jeans- another must have basic. Put them together with a white tank and you have a super simple but chic outfit. Add accessories as you please and you can create a multitude of looks. Sporty chic? add a beanie and converse sneakers. City chic? Add pumps and clutch. 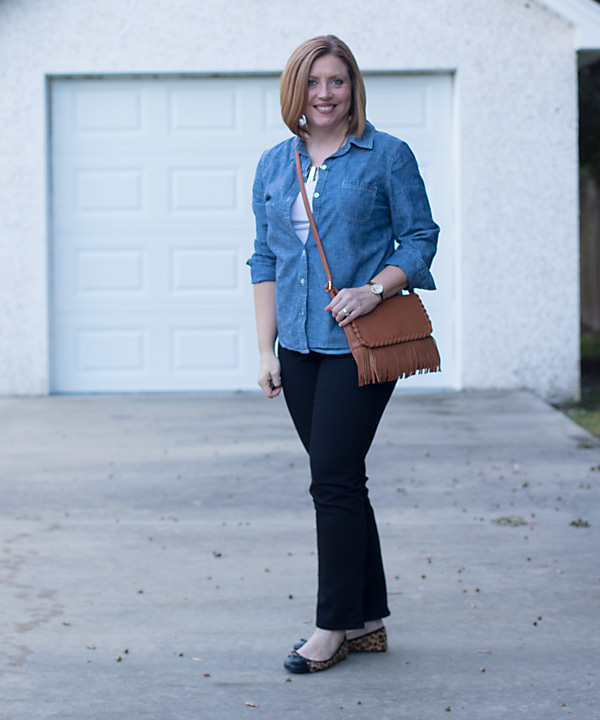 I went with leopard flats and a fringe bag for a casual fall look. One more thing- I love Loft jeans. I have these in a dark wash blue, white and now black. They have the perfect amount of stretch and are super comfortable. Wait for a 50% off sale and they are also super affordable.